Pascal Wehrlein thinks his chances of staying in F1 next year are now "quite good". Earlier, the Mercedes-backed German seemed resigned to losing his place at Sauber, as the Swiss team ramps up its relationship with Ferrari. But now, the big rumour is that Marcus Ericsson could be the driver set to lose his place to Ferrari junior Charles Leclerc. 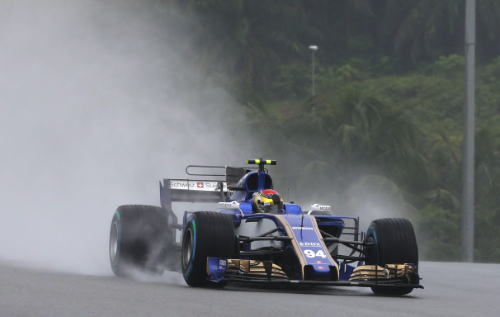 Wehrlein said in Malaysia: "There is still nothing new. "But I think there will be a decision in the next few weeks. This year we will not have to wait as long as last year." When asked if he is now more positive than a few weeks ago about his prospects for 2018, he answered: "I think the chances are quite good. "But during the season I try to only think about the coming races. "Of course I will always be informed when there are new developments. Toto (Wolff) tells me of any important phone calls and of course I always talk with Fred (Vasseur). "I'm assuming I'll be in formula one next year," Wehrlein added.